After coming back from 2-0 down in a tough workout against AFC Wimbledon last Saturday, the Chelsea squad jetted off to Austria to start their pre-season tour of Europe. Having visited Asia and North America in previous pre-season tours, the Chelsea players will be glad to be playing relatively local opposition in their warm up to the 2014/15 season, especially those that are returning from World Cup duty. The first game of the tour will be against RZ Pellets WAC, a club currently playing its football in the Austrian Bundesliga. 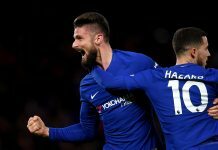 In addition to most of the players that featured against Wycombe Wanderers and AFC Wimbledon, the travelling Chelsea squad features some names that took part in the early rounds of the World Cup, such as defensive pair Gary Cahill and Cesar Azpilicueta. Players that played in later rounds, such as Eden Hazard and world champion Andre Schurrle, will likely join up with the squad sometime over the next couple of weeks, after being given an extended break. 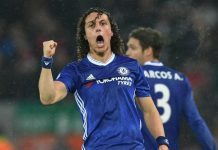 The most notable of the travelling players, however, are Chelsea’s three major summer signings, Cesc Fabregas, Diego Costa and Filipe Luis, who completed his move to Stamford Bridge on Friday. Also known as Wolfsberger AC or ‘The Wolves’, RZ Pellets currently sit in the top half of the Austrian Bundesliga, having already kicked off their 2014/15 season with a win. The club currently play their home games at the Lavanttal (Lavant Valley) Arena, situated in the Carinthia region of Austria. 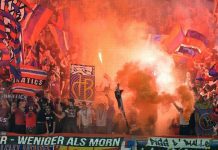 In 2007, they entered into a cooperation with neighbouring club SK St. Andrä, but after gaining promotion to play against the likes of Rapid Vienna and Sturm Graz, the partnership was dissolved, and RZ Pellets continued as its own entity. They play their next league game against Austria Vienna on Saturday 26th, so it is unlikely that they will be flying into many tough challenges. Another notable player in the Chelsea squad to make this trip is Petr Cech. After injuring his shoulder against Atletico Madrid at the tail end of last season, the big ‘keeper underwent surgery to repair the damage. His recovery is said to be ‘progressing well’, but it is unclear as to how much game-time he will get over the next couple of weeks.